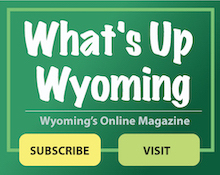 The Wyoming Police Department believes in the importance of educating our citizens to detract crime or fraudulent activity from our community. As part of the Police Department’s Crime Prevention and Outreach Program, the department organizes crime prevention seminars on topics ranging from Identity Theft, Fraud, and Home & Neighborhood Safety. In 2007, the Wyoming Police Department organized the first Citizen’s Police Academy. This program is now offered annually. This ten-week program covers topics such as Search and Seizure Law, Arrest Procedures, Vehicle Stops, and other tasks a police officer must perform daily. The Wyoming Police Department also sponsors the Bike Helmet Give-a-Way Program. Children who are seen riding their bikes without helmets are stopped by police officers and are told of the importance of helmet safety and are offered a free bike helmet if the child does not already have one. The Police Department also has helmets available for those who are in need and cannot afford to purchase a helmet for their child. Bike Patrol Officers also stop children wearing helmets and award them with special items for their safety awareness. The Adolescent Substance Abuse Programs is dedicated to providing professional, ethical, and caring outpatient treatment for substance abuse in a family centered environment. Our cutting edge, abstinence based programs are diverse, following the best practices available ASAP’s skilled staff is committed to competently treating adolescents and their families with compassion and personalized attention, making ASAP Cincinnati the premier adolescent treatment center in the area. Whether your child needs an assessment, treatment, coordination of care and/or referral, ASAP can help. Call them for assistance at 513.792.1272 or visit their website.